Choosing quality cheese and Savory Blueberry Ricotta Pizza. Don’t you just love getting a package in the mail? Last week I got a box of Sargento cheese to sample. I can never, EVER pass up cheese. Sargento was so confident in the quality of their cheese, they sent their natural cheese slices as well as processed “American” cheese slices to compare the two. As any cheese lover knows, there is no comparison in real cheese and “cheese product”. 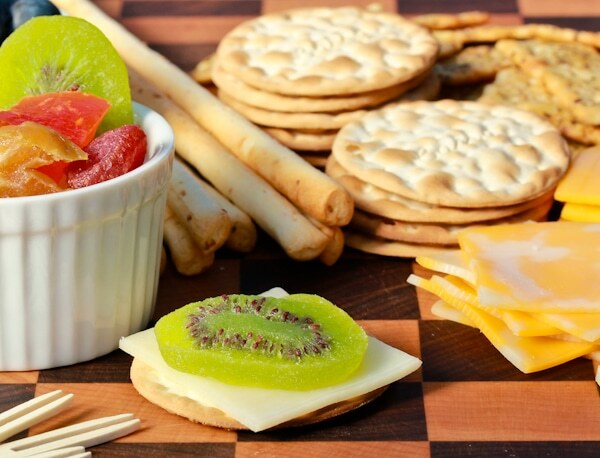 Sargento cheeses are made with just a few natural ingredients and are aged to enhance the flavor. They slice each block and package immediately to insure freshness. Plus, Sargento IS American cheese! All their cheeses are made fresh in Wisconsin, the Cheese State. Processed cheese is loaded with scientific sounding ingredients and nearly double the sodium. It’s squeezed into the wrapper in liquid form and flattened into slices. My personal belief is that cheese isn’t supposed to be glossy. If it looks like rubber and bends like rubber, it’s not real cheese. We opened the box for everyone to taste-test the cheeses and it was immediately clear the Sargento cheddar cheese was the favorite. The cheddar slices are thin and dense with a nutty aroma. They bend just a bit before breaking. That my friends, is how “American” cheese should look, feel and smell. The flavor was sharp and well balanced, not overly salty. We snacked on the cheese with fruit and crackers, but could not help thinking how useful the cheese slices are at mealtime. Sargento slices are perfect for back-to-school lunch boxes, grilled cheese sandwiches, and layering in lasagna. We decided to try something new and tear them into smaller pieces for a savory Blueberry Pizza appetizer. With an abundance of blueberries this year, we’ve made jams, pies, crisps, and an array of other desserts. But who says blueberries have to be in sweet dishes? 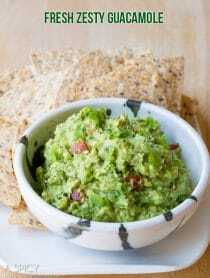 Their deep, yet perky, flavor makes them a wonderful addition to salads and savory appetizers. 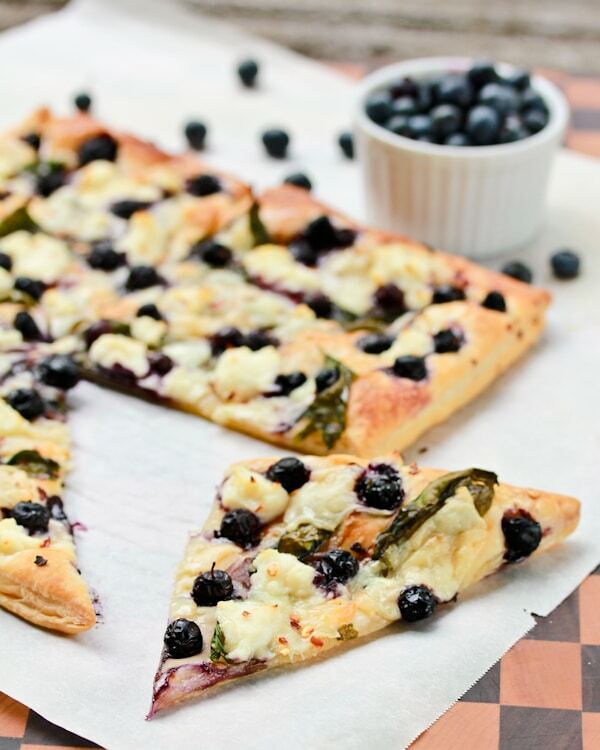 Fruit and briny cheese go hand-in-hand, so to me, blueberry pizza makes perfect sense. 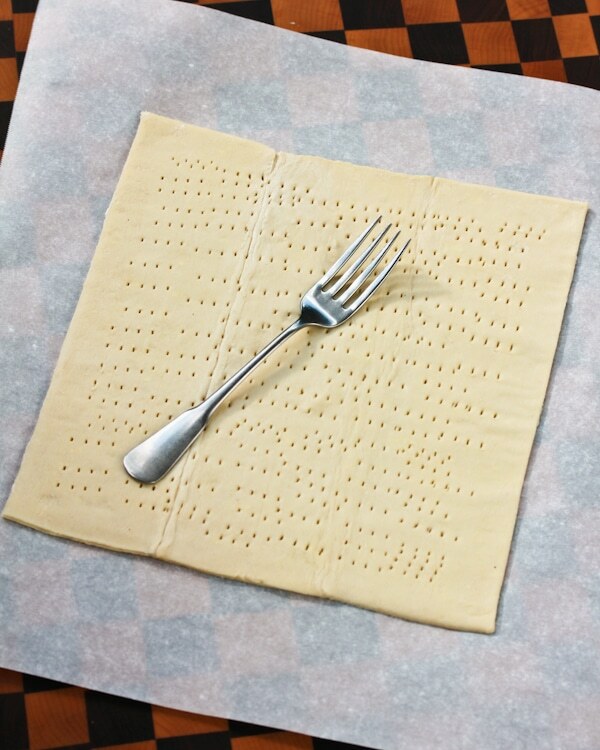 Use a fork to prick holes over the surface, leaving the edges untouched. 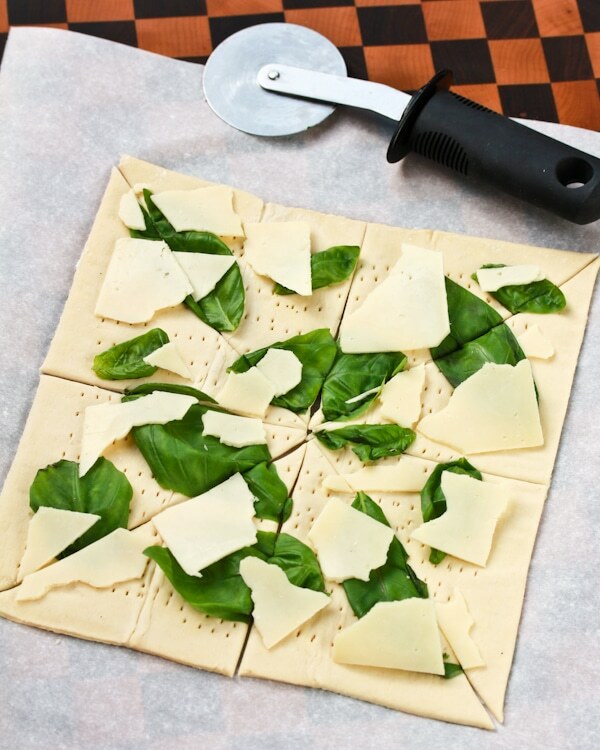 Arrange the basil leaves over the dough. Then break the cheese slices into bite-size pieces and layer them on the dough. Use a pizza cutter to cut the dough into 8 triangles. Next dollop the ricotta over the dough followed by a sprinkling of blueberries. Sprinkle the pizza with crushed red pepper and salt. Bake for approximately 20 minutes—until the edges are golden. 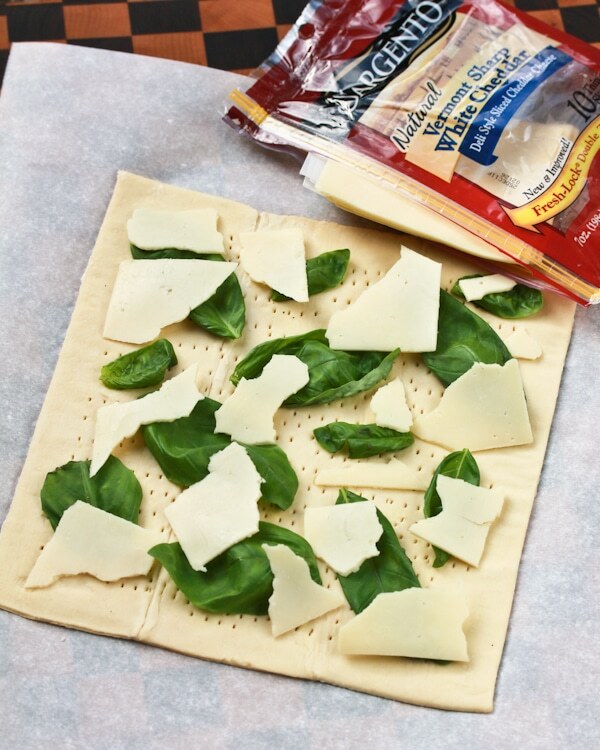 Preheat the oven to 400 degrees F. Unfold the puff pastry and lay it on a parchment paper lined baking sheet. Use a pizza cutter to cut the dough into 8 triangles. Next dollop the ricotta over the dough followed by a sprinkling of blueberries. Sprinkle the pizza with crushed red pepper and salt. Bake for approximately 20 minutes—until the edges are golden. Remove from the oven and drizzle with a little honey. Pull apart and serve warm. Great Recipe! I would recommend that the temperature be increased for a crispier pizza. When the temperature drops the system begins to not purpose properly and freeze ups may appear. by refusal of the heat which was formerly absorbed through the cooled space. conditioning systems have evolved, those general guidelines are less and less accurate. Pingback: Foodzeen Nottingham | Strawberry Season – But What About The Rest? I love the fruit/cheese combo! 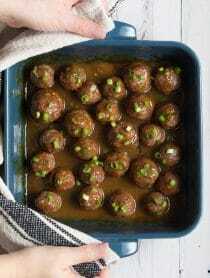 Came across this recipe via Pinterest. I tried my hand at it yesterday and loved it! I added a little garlic (because I love garlic) and I didn’t have the exact cheese but it came out great regardless! Thanks for sharing!!! What a fantastic idea. I agree with Tiffany – truly magical! I am totally intrigued by this recipe. I love the combo of flavors and the choice to make a pizza out of them! I have never thought about topping a pizza with blueberries before! What a creative and awesome pairing! What a lovely package to receive in the mail…and what an inventive way to utilize cheese. I love the thought of this savory/sweet pizza. Thank you for this lovely post. I’m enjoying it with a strong cup of coffee and bagels rising on the counter. I hope you have a blissful Sunday and an even more wonderful week. love, LOVE it that you’re broadening my horizons, Spicy! Exactly! The creative use to fuse blueberries with cheese, genius! I love this! You are right, there is nothing better than getting fun mail and good cheese. 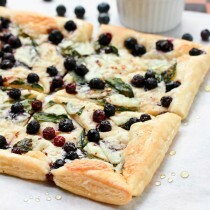 Sargento is one of my grocery store splurges :) Delicious pizza and awesomely creative use for blueberries! I like the square shape of this pizza and also the ingredients you used. I have not tried blueberries in pizza. Interesting! First time seeing blueberries on pizza, but what a nice idea! There’s American cheese, and then there’s American cheese. One is any cheese made in America, but the other is that vile substance that only resembles real cheese when viewed from the same distance used to describe the Hubble, that stuff you get on a drive-thru hamburger. It’s time we reclaimed the name American cheese and picked something worthy. Big fan of Sargento’s, by the way. Sommer, love the flavor combo..and who doesn’t love cheese ? great recipe, thanks for sharing!! have a great weekend!! so fabulous, yet elegant enough to serve at a cocktail party . . . or for dinner w/a nice salad – perfecto!! Your posts are always so beautiful and inviting..thank you for your wonderful posts! 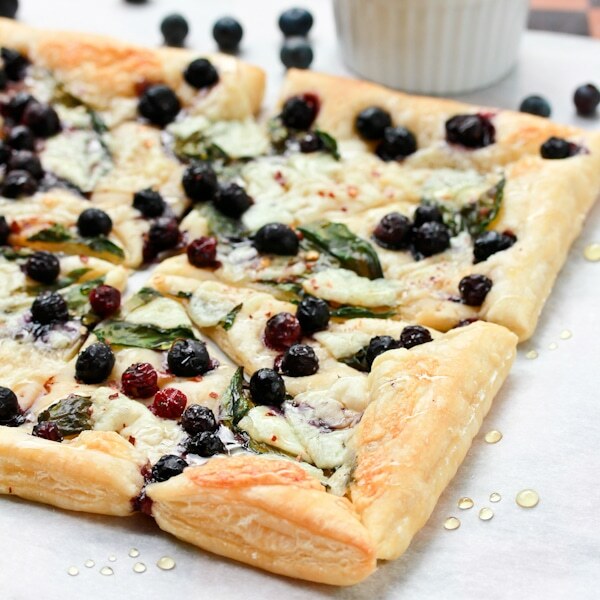 A savory blueberry pizza on a puff pastry sounds just wonderful, a delicious creation! Great! so elegantly indulging. I’d like to prepare one this weekend. FABULOUS pizza! I love the “glossy and rubbery” comment! …and I totally agree! 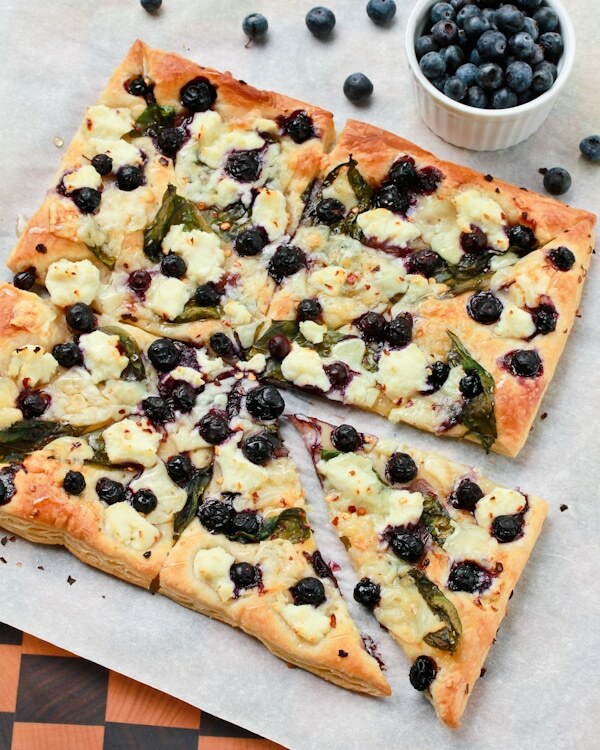 The pastry based pizza with blueberries…that looks heavenly! Ohmigoodness! This is an incredible pizza! The blueberries with that lovely freebie cheese sounds heavenly :) Buzzed! 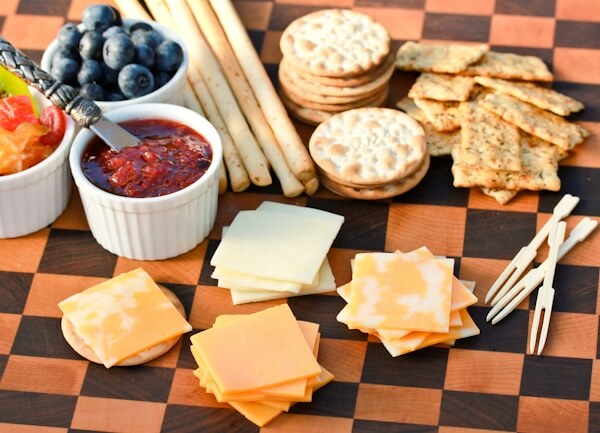 What a yummy appetizer idea! Sommer, I love everything about this pizza. The sweetness of the blueberries with the salty cheese is a great combo. The basil is a fun twist too. I am such a blueberry fan. I would love this pizza! I am a cheeseaholic! This looks delicious as does the array of cheese you were lucky to get! From the title, I thought this might be a sweet dessert pizza. But it’s savoury! Love it. Look at all that wonderful WI Cheese (WI girl here)! This pizza is so creative! What a great idea to pair ricotta and blueberries this way! Oh if you could just see me now….I am doing a happy dance because I loooooove this pizza! I am about to lick my screen…noone is watching! Yum! What a fun idea! I love this–it looks so good! This is one of the best pizzas I ever saw!! From your choice of ingredients to your creative cutting of the pizza! Great recipe Sommer! This is SO awesome! I am so impressed with your creativity. Wow, I bet this is just amazing. I love trying new things like this. Very creative and beautiful. I love cheese too – and pizza – and blueberries. This pizza and I were MFEO (made for each other)! What a great idea! I live off of cheese and crackers in the summer. This pizza is just a perfect accompaniment! this looks amazing. i would have never thought to mix blueberries and pizza. stunning and simple ingredients. This looks amazing! what a unique recipe! What an awesome combination of ingredients and flavors. I like the pull apart affect. 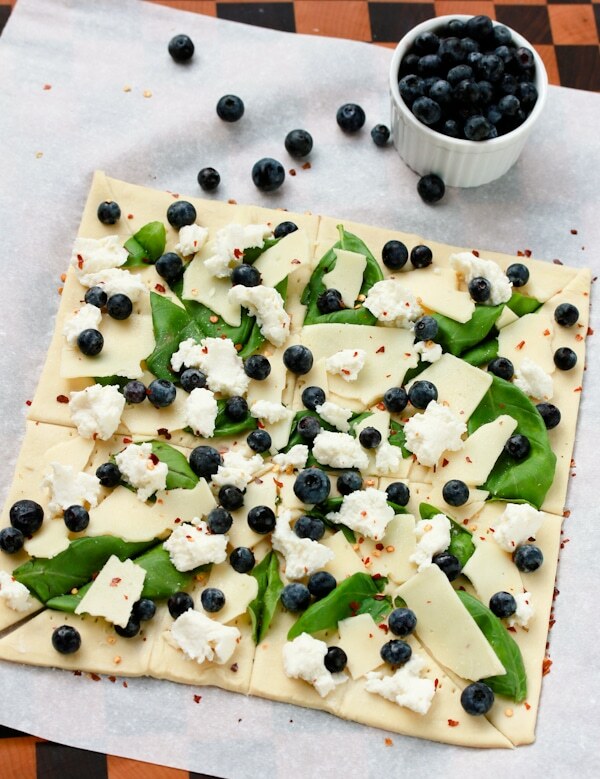 The peppery nature of the basil would definitely highlight the cheese and give the blueberries a bit of a punch. This is a very unique and fantastic looking recipe. Congrats on receiving the cheese and on such a good review of it. What an intriguing recipe. The basil makes me think savory. The blueberries and agave nectar make me think dessert. I can’t wait to give it a try and decide for myself! Love it! I used to make a dessert version of Blueberry pizza but this time of year, I’d rather have something savory than overly sweet. 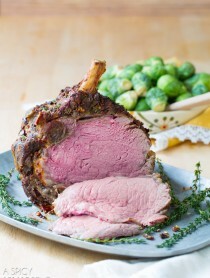 Great use of seasonal ingredients and easy to make. What a delicious idea! I like Sargento cheese, too. Always reach for them first at the grocery. That is a yummy appetizer idea! I still have lots of blueberries in the fridge, too. Simple, but elegant. Love it! Simple to make but totally amazing pizza. I can do this!